Kent Daniel Bentkowski from kentroversypapers.net joins us for our last show of 2007, we discuss Kent's report "Will you Survive the Coming Financial Crash?" We begin to talk about the housing bubble and what 2008 might hold financially and politically. "Topic Discussed: Will the housing bubble pop? Will people lose their homes in the next few years? "Real world math" and the plan to dumb-down students, Council on Foreign Relations, US bankrupt in 1933? 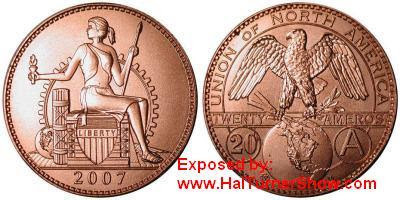 Debt & the Federal Reserve, the upcoming presidential election in 2008, Ron Paul, Civil war in the US? 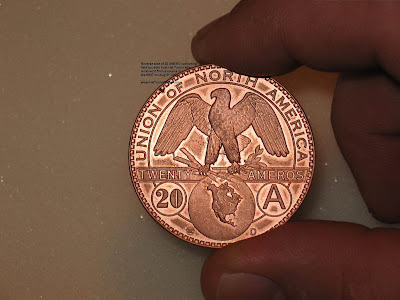 the Euro, The Lisbon Treaty (The EU Constitution), The SPP - Security and Prosperity Partnership (North American Union front) and things to look forward to in 2008. Will You Survive The Coming Financial Crash? 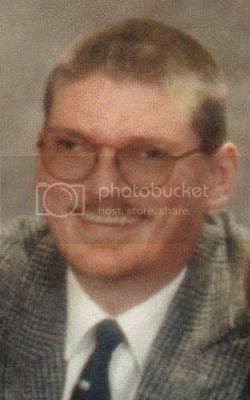 This week's guest is Justin Martell, the founder of the group Student Scholars For 9/11 Truth -- where we talk about his group, 9/11, and Hillary Clinton's lies caught by their video camera on November 7, 2007 -- at a meeting at the Peterborough Town Hall in Peterborough, NH USA. This week's guest is Justin Martell, of the Student Scholars For 9/11 Truth group, which is working with college-aged students to bring about a new investigation into the events of 9/11. I found Justin to be both well-informed and well-spoken about the myriad issues involved in the 9/11 matter. Just who it was that pulled off the attacks. Bin Laden Construction a major sub-contractor in the building of the WTC complex, and myself being the ONLY journalist in this entire country to have covered this story, which comes to us via former architect Paul Laffoley, who was also asked to build explosive charges into the towers' central core. The affiliation, and then split from the adult Scholars group, run by Jim Fetzer. National Security Codes and 9/11. The 441 days it took to empanel the 9/11 Commission, which was a outright sham, as was the Warren Commission of 40+ years ago. Hillary's encounter with the Student Scholars on November 7, 2007 at the Peterborough Town Hall, in New Hampshire. I would encourage all who are college age listeners and who are interested in what Justin Martell has to say, to check out the website -- STUDENT SCHOLARS FOR 9/11 TRUTH -- which has successfully opened up a younger generation's eyes to 9/11 -- and is well worth your attention AND membership. GHOST TROOP is a group of patriots who have come together to prevent future false-flag terror attacks from happening inside the United States. Tonight's guest, Melodee Hallett, discusses her membership in the group, along with her own talk-show on KHEN 106.9 FM. Melodee has her own talk show on KHEN 106.9 FM -- which is called TRUTH QUEST. It is on the air each Tuesday night, from 9:00pm to 11:00pm. This week's guest is Melodee Hallett from Ghost Troop; a group of American patriots dedicated to stopping further false-flag attacks in this country. This group has been successful in thwarting further attacks, confounding the Bush regime in the process -- as they have not gotten the martial law that they wanted in the wake of the 9/11 attacks. The Clinton's and their 'mentors' George Bush Sr. and his wife Barbara. Bill and Hillary Clinton - CIA Operatives? I would encourage all interested in what Melodee has to say, to check out the website -- GHOST TROOP -- which has successfully prevented further false-flag attacks in this country, in the wake of 9/11 -- and is well worth your attention AND membership. Ghost Troop Graphics Page - Link To Your Website! My good friend Greg from the OCCULT OF PERSONALITY website and podcast joins me for a discussion about ASCENDED MASTERS such as Jesus Christ, Buddha, Mohammed, Sir Francis Bacon, Paul Foster Case, and the Comte de Saint Germain. This week's guest is our old friend Greg, from the Occult of Personality podcast and website. We began our talk with my reading of a passage on Ascended Masters from the book LIBER ABA (Magick Book 4, pgs. 8 et seq) by Aleister Crowley, which discusses the Ascended Initiated Masters known as Jesus Christ, Buddha, and Mohammed. It is well-known to esotericists that Christ was initiated in the Great Pyramid of Egypt's Giza Plateau. This is part of the missing years of Christ's biography. "A spiritual being who can inspire and assist, and even physically manifest, to guide those who the Master has chosen to [guide their spiritual ascension]. The purpose of this is to uplift humanity in some sense or another." We spoke about the Ascended Masters -- Comte de Saint-Germain, Paul Foster Case, and Sir Francis Bacon, primarily among them. "Organized religion is an attempt to give people a faith, a commonality, an experience, a tradition, and an identity. Mystery Schools exist to encourage enlightenment, ascension, and personal development." "After Bacon's mock funeral in England, he returned to the continent where he lived for more than twenty years as the head of his Secret Society." We also spoke about Bacon's role in the Rosicrucian Order, and his involvement in the writing attributed to William Shakespeare. He was also responsible for many ciphers and steganography -- which is defined as "the art and science of writing hidden messages in such a way that no one apart from the sender and intended recipient even realizes there is a hidden message." Lest anyone listening thinks I am joking about a Tarot Deck based on GUMMY BEARS -- here is the proof. U.S. Games Systems, Inc. has released this Tarot pack, which is based on the Rider-Waite pack. 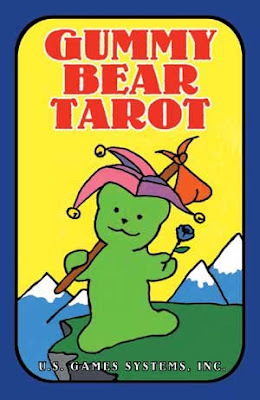 This kind of thing denigrates the serious science and ancient wisdom of Tarot, and this pack was designed by German artist Dietmar Bittrich -- who calls himself the "Gummy Bear Oracle." Give me an effing break, will ya?! "Life will take you where you are meant to go." An artistic rendering of a being that my young son identifies as "Dondo." 'Kentroversy Jr.' describes visitations from this being -- where Dondo stands at the foot of his bed at night -- and shares information and other communications that so far are beyond my son's ability to elucidate. I would encourage all interested in what Greg has to say, to check out his website -- Occult of Personality -- and his podcast of the same name -- which discusses many fascinating subjects -- and is well worth your attention. Gummy Bear Tarot Pack - U.S. Games Systems, Inc.
On this podcast, I speak with Aeolus Kephas, the author of the excellent book 'THE LUCID VIEW: INVESTIGATIONS IN OCCULTISM, UFOLOGY, AND PARANOID AWARENESS' which I enjoyed immensely, and I highly recommend the book. This week's guest is AEOLUS KEPHAS, an author who writes about occultism, UFOlogy, and the Paranoid Society. 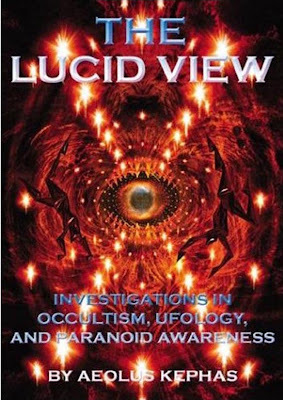 I found his book, 'THE LUCID VIEW: Investigations In Occultism, Ufology, And Paranoid Awareness' to be very readable, and his writing style is straight forward and easy to understand. 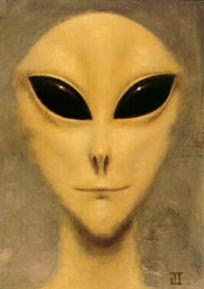 The deliberate creation of the paranoid society through social engineering of institutions such as The Tavistock Institute led me to ask about THE X-FILES, and the role it played in helping American society get a little bit MORE paranoid, as well as bringing the term CONSPIRACY THEORY into everyday use and parlance. “To the ordinary person, illuminoids, ufos, elves, angels, and other Imaginal beings have no objective existence whatsoever. The Consensus is quite clear on this. And yet everyone knows what these things “are,” at a mythological level, even if we continue to insist that they have no actual existence. According to paranoid awareness, this paradox is the crux of our current situation. It states that, over the aeons, we have invoked these Imaginal beings—whether higher or lower, demonic or divine, earthly or celestial—and that they are now here. The apotheosis of the impossible is at hand. It begins as an idea, something even less perhaps, a vague and distant notion, a feeling that is unconscious, yet present. Over time, this feeling becomes an image, an image as it were before the eyes, a light “undesired, most desirable.” As we gaze at this image it comes slowly into focus, gathering form, tone, pitch, color, and finally substance, until it appears as an actual shape before our eyes. This is the process of articulation through perception by which manifestation occurs: what was within is now without. The shape is our own, it is our potential unborn, perceived as in a glass, darkly, distant yet dazzling. It is approaching as we, in turn, advance to meet it. According to this lore, the individual is approached by the Imaginal in the most intimate manner imaginable (abductions usually occur in bed). If she or he fails to perceive the essentially subjective nature of the visitation, s/he will quickly be demoted to the lower echelons and treated accordingly, as cattle to be herded, a nameless, faceless number to be processed along the evolutionary line. S/he will be subjected to tests and probes and analyses and other rude stimuli, have bodily fluids extracted and cell samples taken, then returned to the herd, complete with branding marks and implants. If, on the other hand, the percipient takes the necessary steps towards collaborating with the Imaginal forces—if s/he stares unflinchingly into the dark abyss of his Soul and neither flees nor falls to his knees—then s/he will have taken the first step towards knowledge. To the paranoid on the edge of personal apocalypse, “Know thyself” is no idle recommendation. However strange, absurd, or irrational the various taxonomies of the Imaginal beings may seem, there is a definite, underlying order or meaning to be found in them. Whether taken literally as supernatural or extraterrestrial intervention, or mythologically as an enactment of the unconscious, it falls to us to discover the precise design behind the phenomenon, and so map the unknown terrain of the Soul. I would encourage all interested in what Aeolus Kephas has to say, to check out his website -- Stormy Weather -- and his book The Lucid View -- which discusses magick, occultism, paranoid societies, and UFOlogy, and is well worth your attention. I have recently read the book and it is excellent, and I give it my highest recommendation. In this, podcast # 24 -- we have Dan De Bonis, the founder of THE FREEDOM SOCIETY -- a brand-new group which seeks to assist people in declaring their personal sovereignty in the public space. This is a new tool for patriots who are sick and tired of being bound by inauthentic laws passed by the Bush regime. First conceived September 23, 2007 upon drafting The Declaration of Sovereignty, The Freedom Society quickly began to organize its message of welcoming all to participate in preserving Freedom. 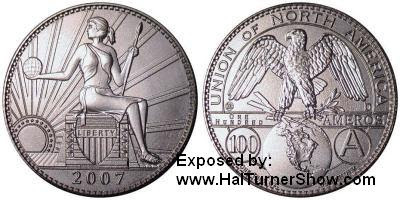 The primary objective is to promote freeborn sovereignty of which all men and women are granted at birth. It is our desire to preserve this sovereign status and remind people of their birth right to “opt out” of all inauthentic government law systems created by men; systems which have all become overwhelmingly tyrannical, showing all signs of an approaching dictatorship. Many people continue to awaken to this fact as we also witness massive moral decay and lack of concern to preserve Truth, Love, Peace and Freedom within current mainstream social systems. Social immorality has been spiraling out of control simply because the masses are emulating immoral “culture creators” within mainstream media and entertainment industries, as well as corrupt government institutions. This is a phenomenon known as mirroring the master’s reflection upon the slave; an absorption of filth gradually permeating into the herd from its filthy shepherd. Government, as an entity, moves only in one direction, and that is to acquire more and more power until ultimately they develop into tyrannical dictatorships. There is no other direction for them to go and this fact has been witnessed and written about extensively all throughout history. It is only within the spirit of courageous men and women who are willing to preserve and protect Freedom within their own lives that we find valid opposition capable of defeating any tyrannical government. This is exactly what The Freedom Society is all about. It would be valid to state, the longer we wait to preserve and protect Freedom within our own lives, Freedom, altogether, continues to diminish at an alarming rate to a point where soon, it may be too late. In America, we have lost all understanding of what freedom really is and how important it is that we protect it in our individual lives. We have been manipulated to see government as a child would see its parents; ultimately creating a society full of overgrown children completely reliant upon government involvement to survive. This is the overall objective of international government we see growing more and more prominent within national policy today, to secure its position as the sole provider of moral values and survival needs for all humanity. How dangerous it is to allow men in government to assume such a role. This is why those who are “awake” must act now! Since the current government and social systems we serve are completely inauthentic and corrupt, it is necessary to develop a totally new system completely independent from that which already exists. This new system must be founded solely upon Natural Law. Anytime Freedom is regulated by men in government we are in dangerous territory, which is why Natural Law can be the only moral foundation upon which to build our new system. Written upon the hearts of all honest, mature men and women lies this simple law system, which if adhered to honestly and maturely, produces a simple society of Truth, Love, Peace and Freedom. A philosophical system of legal and moral principles purportedly deriving from a universalized conception of human nature or divine justice rather than from legislative or judicial action; moral law embodied in principles of right and wrong. - Also termed natural justice; lex aeterna; eternal law; lex naturae; divine law; jus divinum; jus naturale; jus naturae; normative jurisprudence; jure naturae. I would encourage all interested in what Dan De Bonis has to say, to check out his website -- The Freedom Society -- which reveals many secrets of Natural Law and Personal Sovereignty, and is well worth your attention.